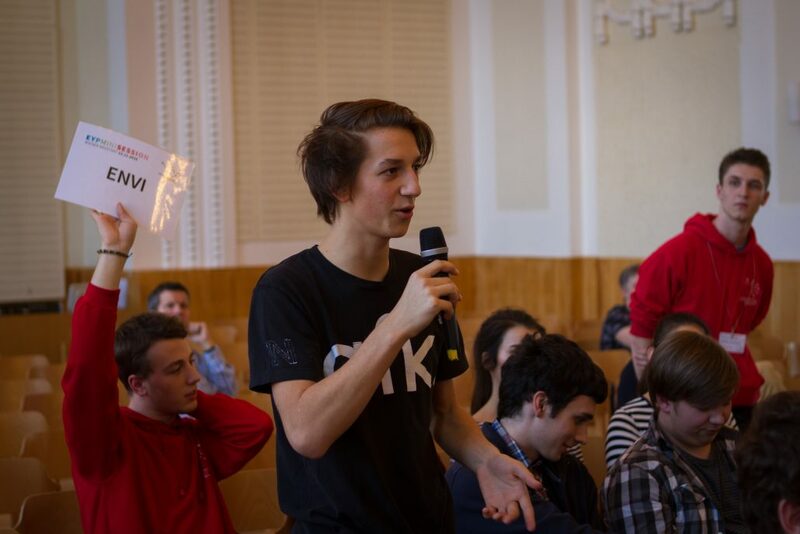 On 22nd November members of the European Youth Parliament (EYP) from all over Austria met in the Babenbergerring Gymnasium to give students of the town of Wiener Neustadt an understanding of EYP. The day started at seven o’clock with the General Teambuilding in the school’s gymnasium, where the president of the session, Michael Ernst, welcomed all the delegates. After a quick division into committees, the teambuilding continued in those smaller groups. Shortly after, the chairpersons had to proceed with committee work in order to discuss, understand and solve current problems of the EU with their delegates. In a relaxing lunch break, which was sweetened by Weltladen, the students had time to prepare for the last major agenda of the day: the General Assembly. The four committees were now given the opportunity to present their topics with its problems and possible solutions, which they had discussed in the last hours. In the subsequent Q&A rounds, delegates from other committees were able to follow up and question the solutions. After two hours of lively discussions, the session was closed with the European Anthem.